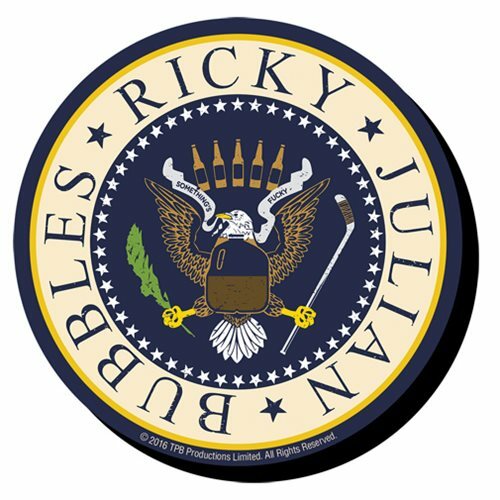 The "official" seal of the Trailer Park Boys - Ricky, Julian, and Bubbles - is now yours as this Trailer Park Boys Seal Funky Chunky Magnet. This isn't your run-of-the-mill magnet. It's wooden, it's laser die-cut, and it's chunky!